Kamikaze Artificial Clearcoat - A Solution For Ultra-Sensitive Clearcoats? Home - Kamikaze Collection Artificial Clearcoat – Finally, A Durable Solution For Ultra-Sensitive Paint Finishes? 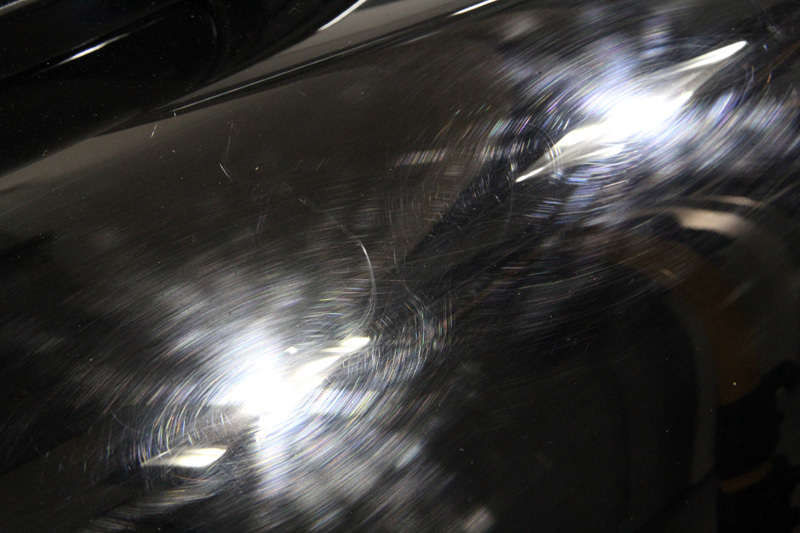 Ceramic sealants are known for providing swirl resistance protection to automotive clearcoats and this is particularly useful for cars with sensitive finishes which mar easily. However, some clearcoats are so delicate they become blemished as the sealant is being applied. Japanese marques, particularly with dark coloured paintwork are notoriously difficult to refine and apply sealant protection to and typically these clearcoats have to be protected with a carnauba wax as an alternative. 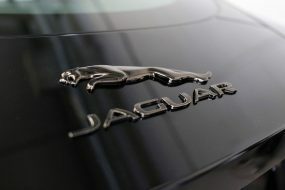 But while waxes produce a fabulous shine, they offer limited protection from industrial and environmental contaminants. 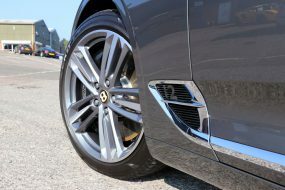 In addition, they have reduced durability (compared to ceramic sealants), and render little in the way of resistance to harsh wash chemicals and swirls. 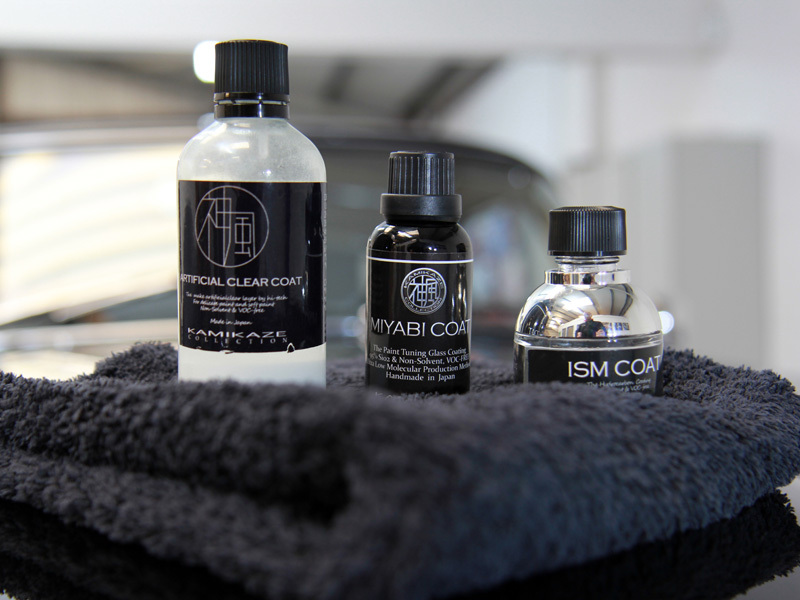 However, Japanese car care manufacturer, Kamikaze Collection, may have a solution. 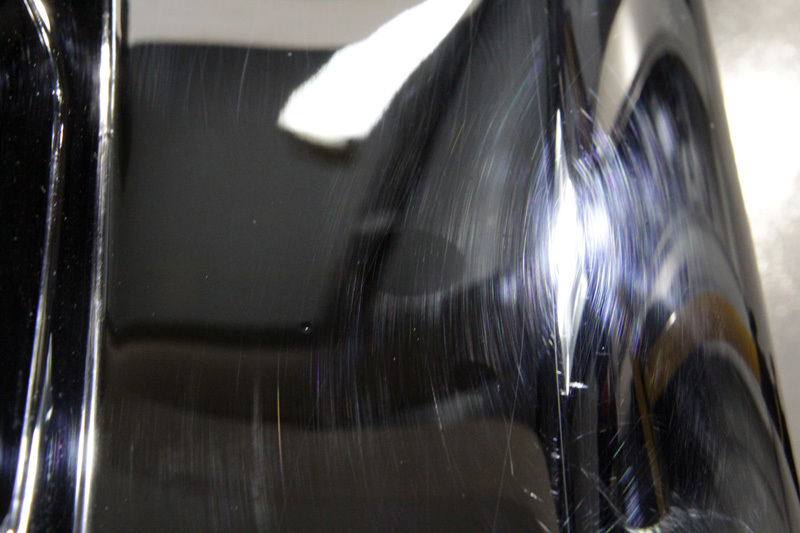 The ‘Artificial Clearcoat’ from Kamikaze Collection is a priming product specifically designed to fill the light scratches and holograms so tricky to remove from delicate clearcoats and leave a glossy, more swirl-resistant finish ready to receive a ceramic sealant coating. 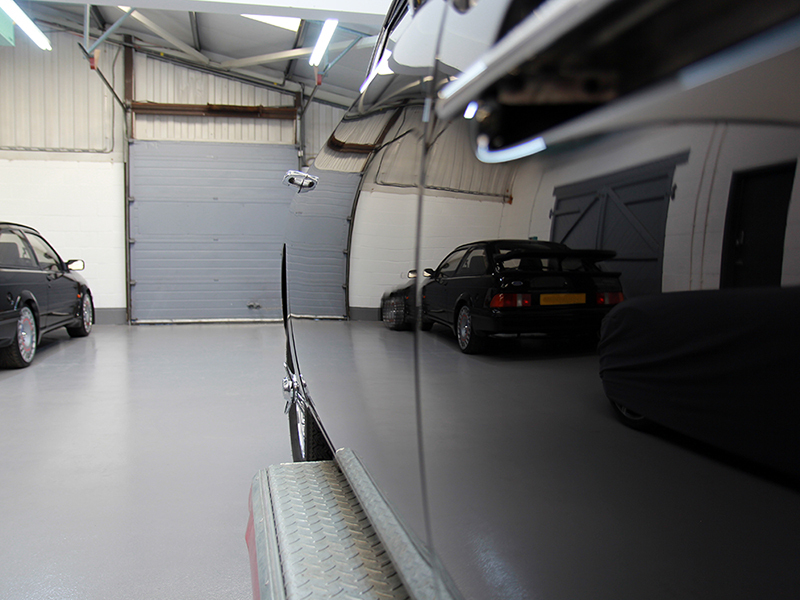 One particular vehicle UF Detailing Studio has detailed on several previous occasions is a black Aston Martin DB4. 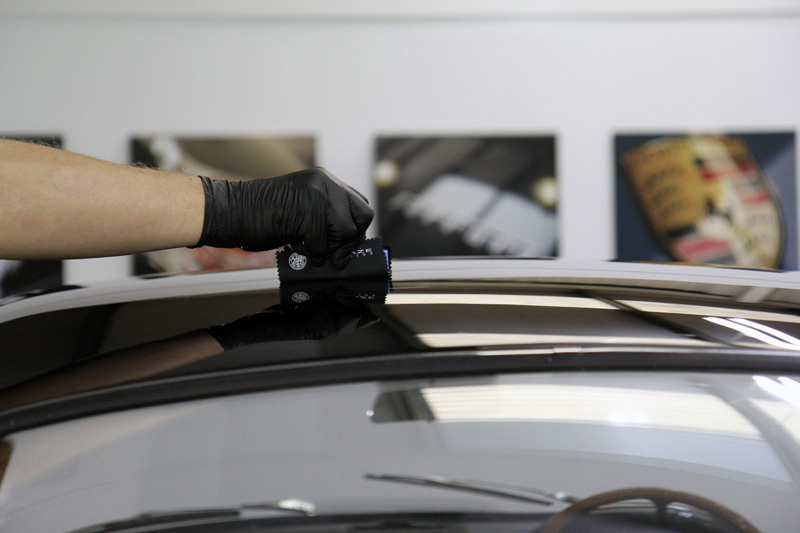 Each visit to the studio has seen extensive paint correction being performed as the clearcoat marks even with the pressure of a microfibre. 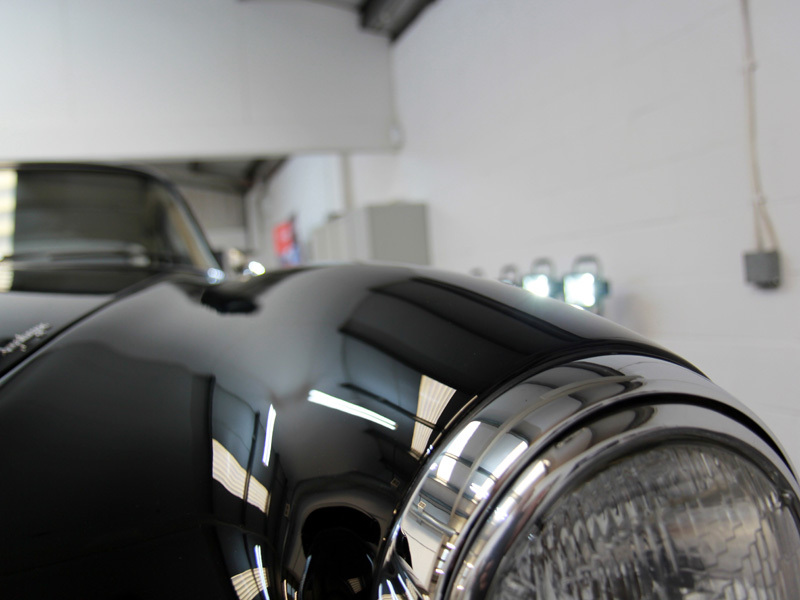 As attempts to apply various ceramic sealants have all resulted in marring the finish, the final protection product for this DB4, up until now has always been an exclusive carnauba wax. The DB4 arrived at the studio and was initially treated with Valet Pro Dragon’s Breath to remove any ferrous contamination, which usually collects on the wheels and sills as a result of brake pads shredding when the brakes are applied. Dragon’s Breath shrinks the particles, causing them to break their bond with the substrate and allowing the contamination to be freely rinsed away. 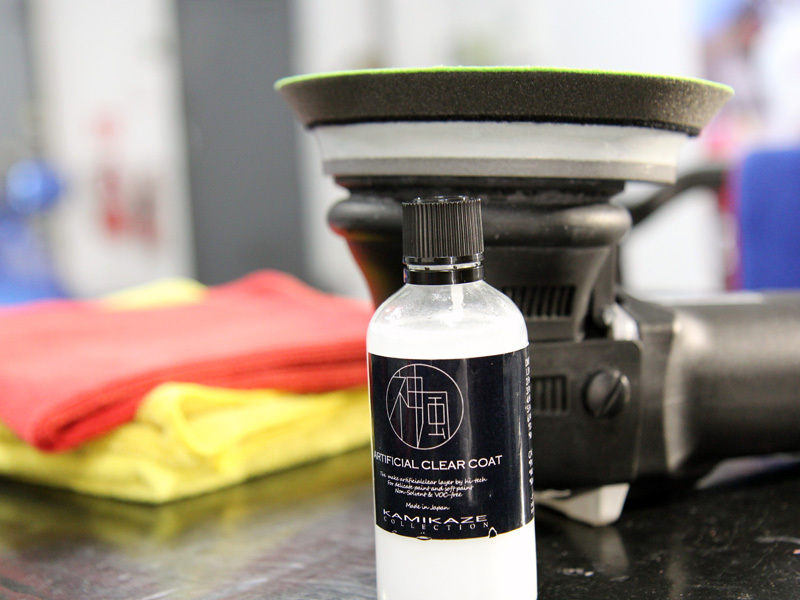 This type of product eliminates the need for scrubbing at the wheels paintwork in an attempt to remove the particles. Once Dragon’s Breath had been rinsed away, the car was then degreased using Bilt-Hamber Surfex HD, before being treated with Valet Pro Citrus Tar & Glue Remover to dissolve sticky contamination such as tree sap or bug remains. Then, using a Kranzle-adapted Snow Foam Lance and Ultimate Snow Foam, the DB4 was pre-cleaned to remove any larger particles of dirt and grit. The foam was rinsed away before the DB4 was very carefully washed using the Two Bucket Method and UF Ulti-Mitt Double Sided Merino Wash Mitt. A separate UF Wheel Bucket with Scratch Shield and a selection of UF Wheel Woolies were also used to clean the intricate wire wheel design. After rinsing off the suds, an Aqua Gleam Deionising Water Filter was attached to the hose to give the DB4 a final, pure water rinse. 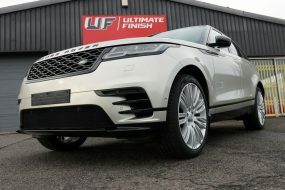 The car was patted dry using UF Ultra-Soft Microfibre Drying Towels and brought into the detailing studio. The wheels were then removed to allow for thorough drying and polishing with Gtechniq M1 All Metal Polish, burnishing them to a high shine. Inspection under high-intensity lighting showed up some light swirls and a few patches of more significant marring in the paintwork. 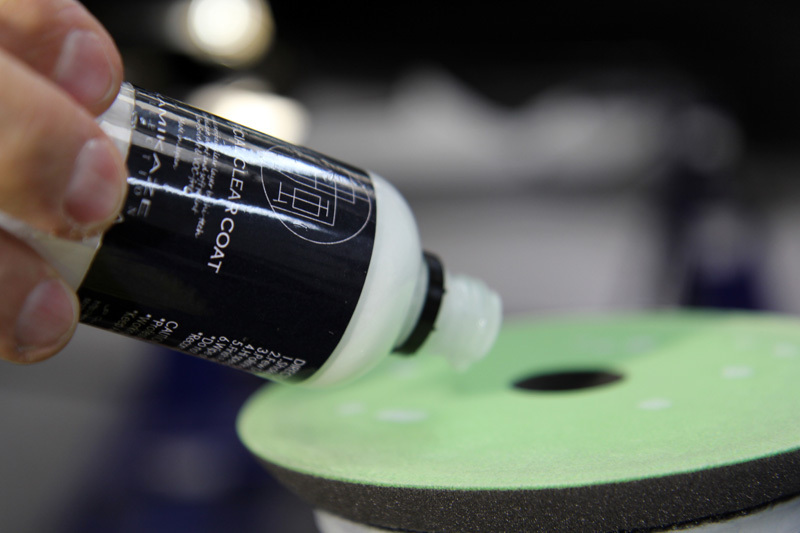 To remove the heavier marks, a FLEX PE14-2-150 Rotary Machine Polisher was used with a Flexipads PRO-Detail Hex-Logic Orange Cutting Pad and PolishAngel Esclate Lotion. 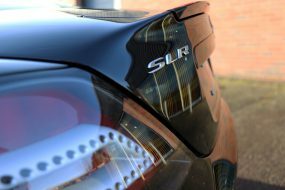 To remove the lighter marks, the paint was refined with the RUPES BigFoot LHR15ES Orbital Polisher, a Flexipads Microfibre Finishing Disc and PolishAngel Esclate Lotion. Unlike ceramic sealants, IPA or panel wipe type product should not be used in conjunction with Artificial Clearcoat. So, once the paintwork had been refined, a few drops of Artificial Clearcoat were applied to a Kamikaze Collection Green Felt Machine Polishing Pad, specifically designed for the application of this product. 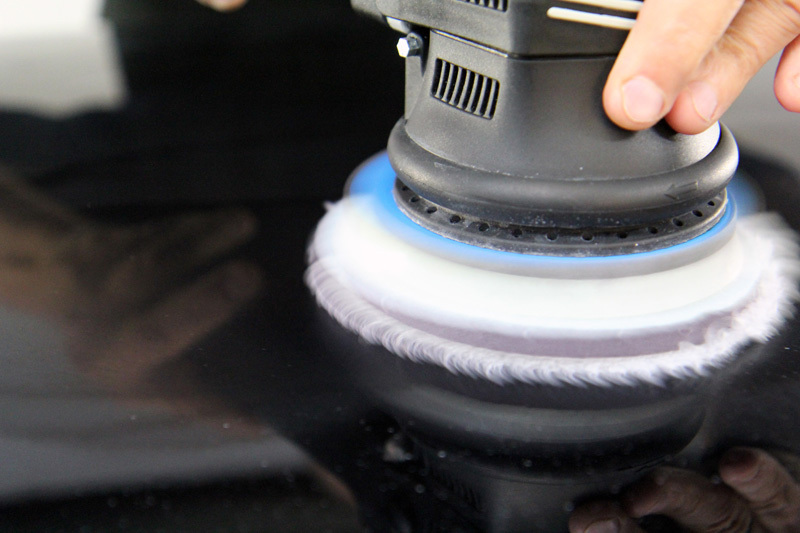 The product is worked into the paintwork on a DA polisher (in this case RUPES BigFoot LHR 12E Duetto) at a low speed, thereby generating little heat. The area is then wiped lightly with a microfibre to remove any residue. 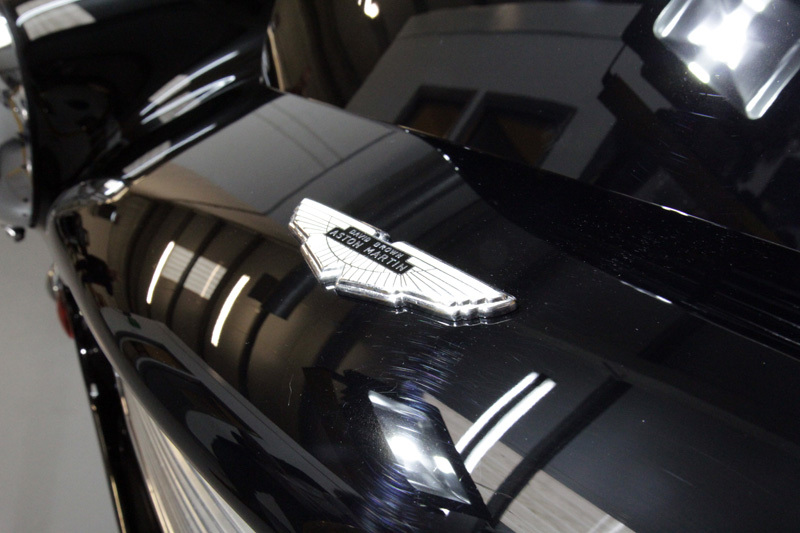 Once the whole of the vehicle has been treated with Artificial Clearcoat two coats of Kamikaze Collection Miyabi Coat were applied to provide an enhanced level of water beading, protection from water spot marks and a high gloss finish. Translated from the Japanese, the word ‘miyabe’ indicates the pleasure and joy experienced from something being perfect and stylish. Miyabi Coat certainly lives up to its name. 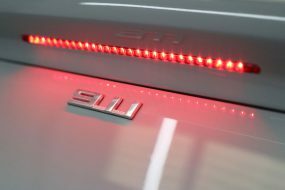 To add a final element of durability and protection, a layer of ISM Coat was applied. The resilience of the new clearcoat layer was impressive and the overall combination of the three Kamikaze coatings created a result that was stunning to look at!